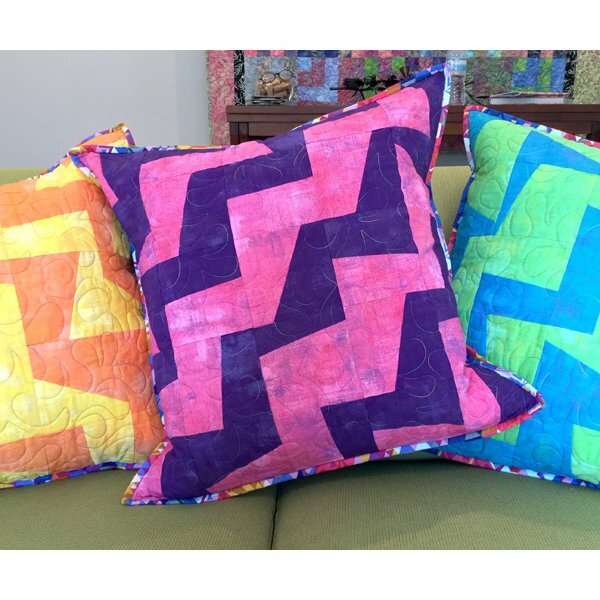 Students will love how liberating, fast, fun and easy these slash ‘n sew pillows are to piece! Under Linda’s guidance and with a few tips and tricks along the way, students will learn a variety of stress free slash ‘n sew blocks (like her signature slash ‘n sew 4 -patch) while making this 20” modern, wonky "rail fence" pillow. NO Pattern required.